The first thought that often comes to mind when talking about Liverpool, is its status as birthplace of the iconic pop band, The Beatles. Whether you’re a fan of the band or simply know about them from your general knowledge, the truth is that much of the information found about the city of Liverpool revolves around this legendary group. Beyond the Beatles however, Liverpool is a city with a lot to offer. It is unique, beautiful and adorable; home to a ton of history that has made its mark over the years. If you are going to visit Liverpool, you should of course take the Beatles tour, visit the eponymous museum and take a trip into The Cavern. But if your trip is solely focused on the history of the Fab Four, you will be missing out on more than you could imagine. 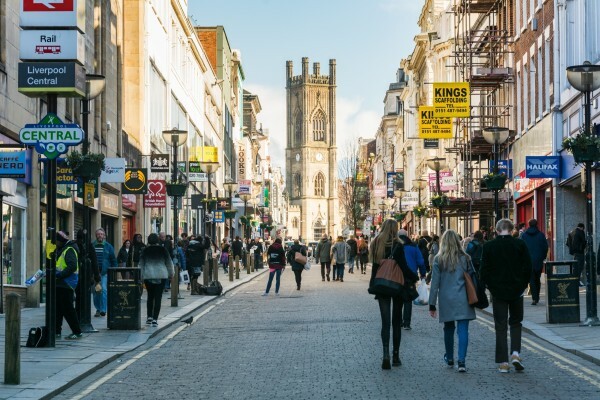 So with this in mind and with the help of Hundredrooms, here is a list of “additional” reasons why you should visit Liverpool. Staying in certain cities in the UK is often equated to digging deep into your pocket for decent accommodation. Being a young a perfect city for backpackers, there are a number of great weekend apartments in Liverpool at very competitive prices. Staying in one of these classic apartments during your visit is the best option in terms of money and comfort. 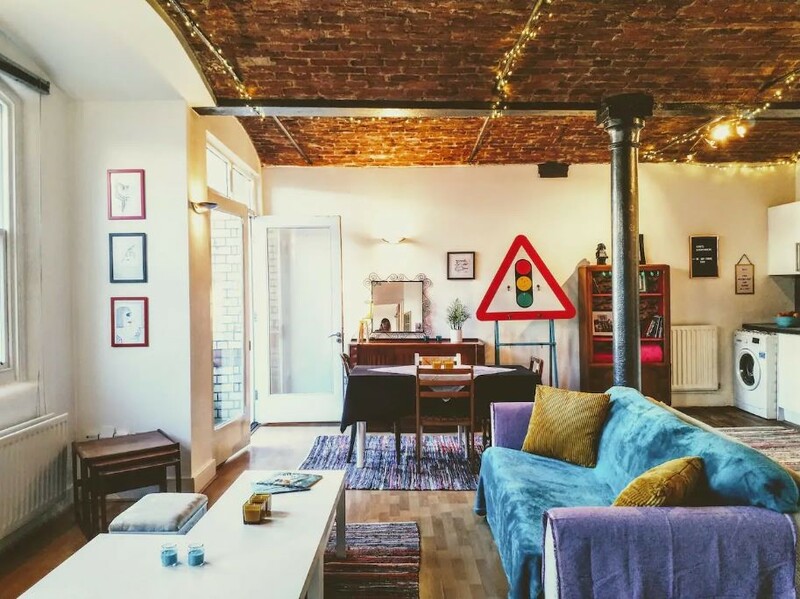 A top choice is to find holiday accommodation near Albert Dock or Mathew Street. They are centrally located and are equipped with very modern facilities. In addition you can find apartments from around € 23 per person. Yes, the people. While Londoners have a reputation for being more closed, the people of Liverpool, or Scousers as they are often known, have the reputation of being among the friendliest and most amusing inhabitants of the United Kingdom. Whether it’s on the bus, in the street or in the corner shop, Scousers love to start a conversation and if you need to ask them something, they are so proud to tell you about their city that they will do whatever they can to help you (in their charming accent!) But if conversation is not your thing, simply sitting and people watching is also a great pleasure in Liverpool. Liverpool is a city that is free of prejudices; as demonstrated by the parade of varied personalities and outfits that adorn the place. Liverpool has two of the most amazing cathedrals in the world: the Anglican and the Catholic. They are very different in appearance, but both are beautiful. The Anglican cathedral is a classic medieval construction of Gothic style with the highest arches in the world, the bell tower at a higher height and a bell. The Catholic cathedral is a modern style construction in a circular shape, with capacity for more than two thousand parishioners, which is at the end of a large atrium of steps that gives the appearance of walking up to a Mayan temple. In addition to these two magnificent works of architecture, there is also the church of St. Luke’s. 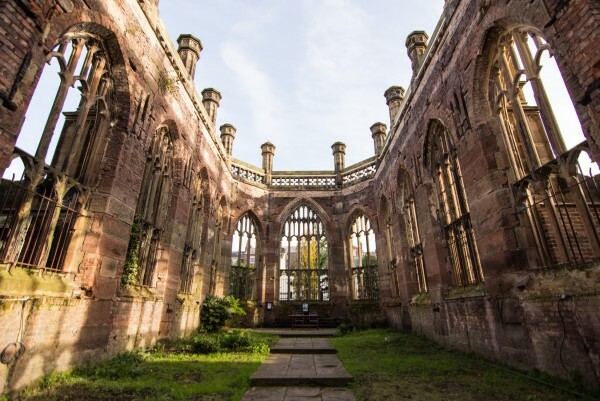 At first glance it may not seem like there is something unusual and wonderful in this church, but when you look deeply you will notice that it is an amazing place. The church was bombed during World War II and despite the fact that the interior was destroyed, the exterior remains intact, so now it is only the four exterior walls and an empty interior, but this does not detract from the beauty of the place. Special events are held in this place, of which some are free – so if you are in Liverpool you can check the notice board and find out about upcoming events. Did you know that Liverpool has more artists with songs that have reached number one than any other place in the United Kingdom? 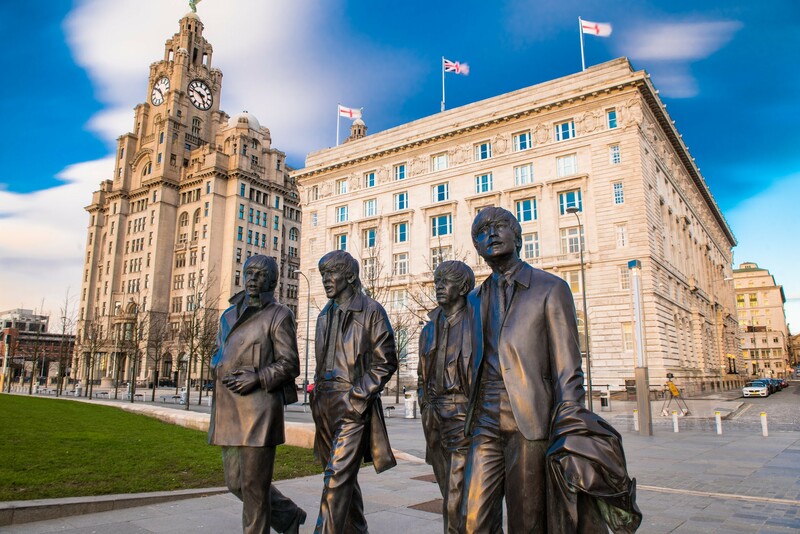 A large amount of talent on the world stage comes from Liverpool and of course the Beatles are just one example; they were the ones who turned the world’s attention to this city. But over the years Liverpool has offered much more musical talent. Among them include Frankie goes to Hollywood, Gerry and the Peacemakers, Cast, Billy Fury, Cilla Black… all of which are from Liverpool. 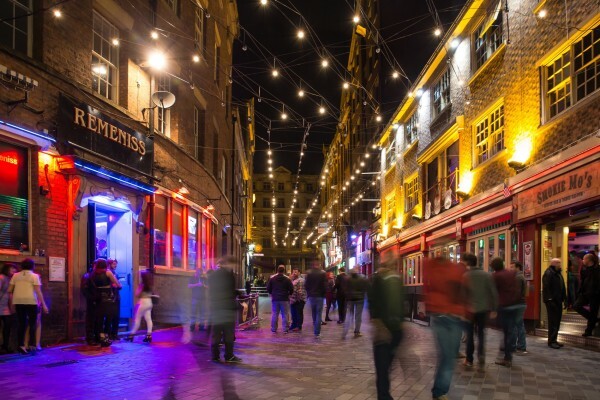 Music is still an important part of the city’s cultural fabric and there are many great places to enjoy live music, from bars and pubs. Plus there are special events that take place every weekend in different parts of Liverpool. Who knows? 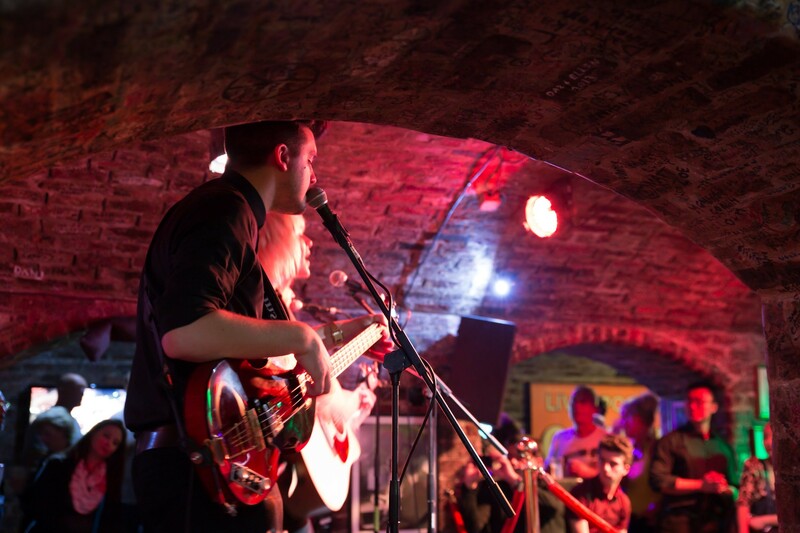 Maybe you could be listening to the next band to continue the Liverpudlian musical legacy. The people of Liverpool certainly know how to have fun, so you can always expect the best from its festivals. Probably the biggest and best known festival is Liverpool International Music Festival (LIMF). As its name suggests, invited artists from all over come to this festival to share their music. It is an event that is definitely worth seeing. 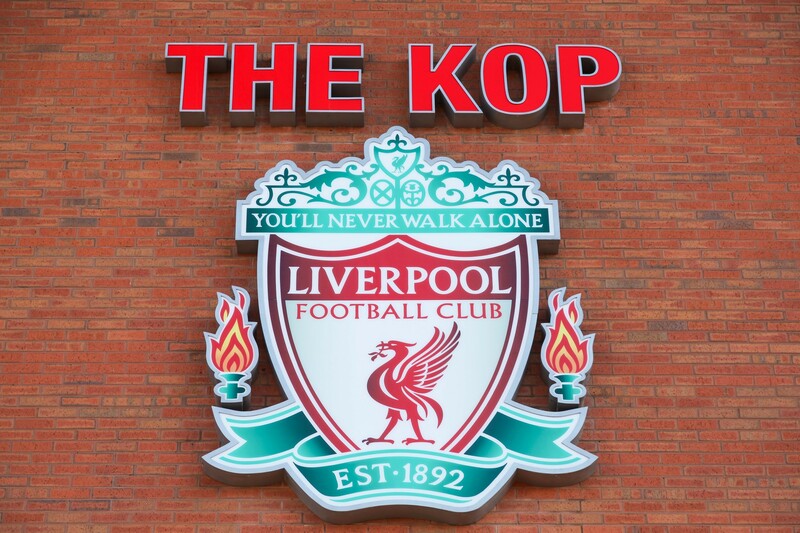 It’s practically impossible to talk about Liverpool without mentioning football, since the city has two of the oldest teams in the history of the sport, Everton FC and Liverpool FC. So if you can get tickets, you should plan your visit to Liverpool when there is a derby between these two teams. Listening to their fans in a stadium is a truly spine tingling experience. Never mind if you don’t get tickets to this game in particular – watching any match here is a worthwhile experience for a football fan. Listening to the people of Anfield singing “You’ll Never Walk Alone” during a Liverpool match, is without a doubt spectacular. Liverpool at night is as wonderful as Liverpool by day. Camp & Furnace is perhaps one of the best places to enjoy a drink. Santa Chupitos and El Bandito are also two good places to enjoy a good atmosphere and cheap drinks. During the summer a great place is The Kazimier Garden; a garden bar that often has live music which makes for a fantastic setting. Among the best bars we can also mention Alma de Cuba, which has become one of the most famous places to go out at night and enjoy drinks. This is, of course, after The Cavern, the bar where the Beatles’ career began. It has two locations; the first is the original bar which includes some exhibition rooms of the “Fab Four” and the other that is a more modern version, but just as interesting. The areas surrounding Liverpool have some of the most beautiful beaches in the UK and are the perfect place to sunbathe during your holidays. Formby Beach, which although it is actually outside of Liverpool, is impressively large and beautiful, with dunes in its surroundings and pine forests which are ideal for long walks and hiking. 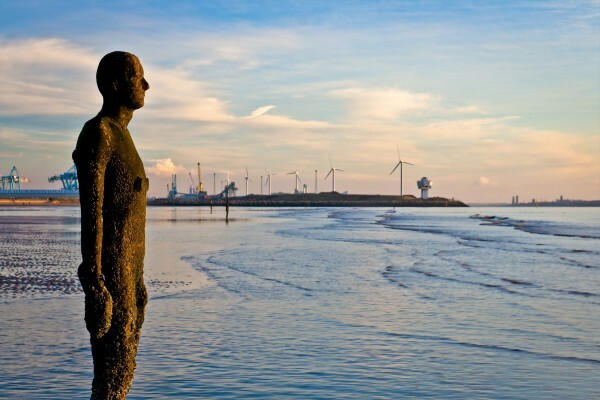 Just six miles north of the city centre is Crosby Beach which is home to Anthony Gormley’s “Another Place”; a work of art made with more than 100 statues of people, made of steel in real size and that They are known as “men of steel.” These statues were placed all over the beach and each of them is “standing” facing the sea in solitary and silent contemplation. The artist explained that these statues seek to represent the relationship of man with nature, without heroes, without ideals – only a middle aged man trying to stand and breathe, facing a horizon full of boats and the smooth rotation of the planet. And that is precisely what this beach is capable of making us feel; that feeling of contemplation where we can breathe peacefully for just a moment. When people say that they eat badly in the UK, it is because they have probably never tasted the traditional dishes of Liverpool. 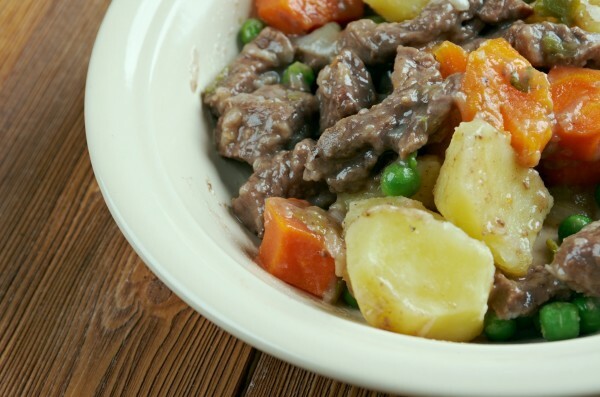 The best you can eat is the “scouse”, a dish made with lamb (sometimes with beef) potatoes, carrots, onions and gravy. It is the kind of dish that when your gran prepares it for you, you are transported back to the taste of your childhood. Some places in Liverpool city to enjoy a plate of scouse, are pubs such as the Maggie May, Thomas Rigby and The Baltic Fleet. Regardless of what city you’re in, you have to try the fish and chips in the United Kingdom. Add some tartar sauce, salt, vinegar, ketchup or curry sauce and you’ll realise why they are one of the country’s firm favourites. If you wake up a little late after a night of partying the day before, then you should try the “brunch”, a breakfast and lunch mix, with dishes as substantial as they are delicious. If it’s time for dinner, you can not miss enjoying an excellent meat dish. There are many places to enjoy good food like Camp & Furnace, The Monro, Delifonseca and Central Perk (yes, like the Friends series). 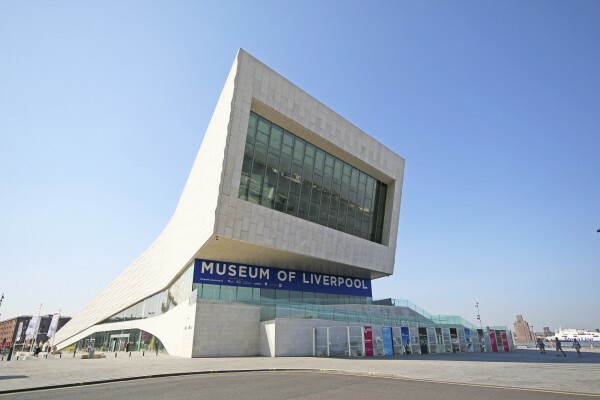 Liverpool has a long and interesting history, so it is not surprising that the city is full of museums. There’s the Merseyside Maritime Museum, the Victoria Gallery and Museum and the Liverpool Museum, all these which are found in Albert Dock. But perhaps the most interesting and controversial of museums is the International Slavery Museum, which focuses on presenting the history of the transfer of slaves from Africa to the United Kingdom who were then sent to other parts of the world. A large number of slaves went through Liverpool on their way to Europe and the Americas, in which they were subjected to the most deplorable and horrific conditions along the way. The controversial part of this museum lies in the fact that a lot of historical data is believed to have been hidden to play down the role of the United Kingdom in the slave trade, however this museum is a good starting point to learn about a marked period in the history of mankind. Did you know that Liverpool has more parks than Paris? Yes, it’s true, and it is one of the best things about living in Liverpool. 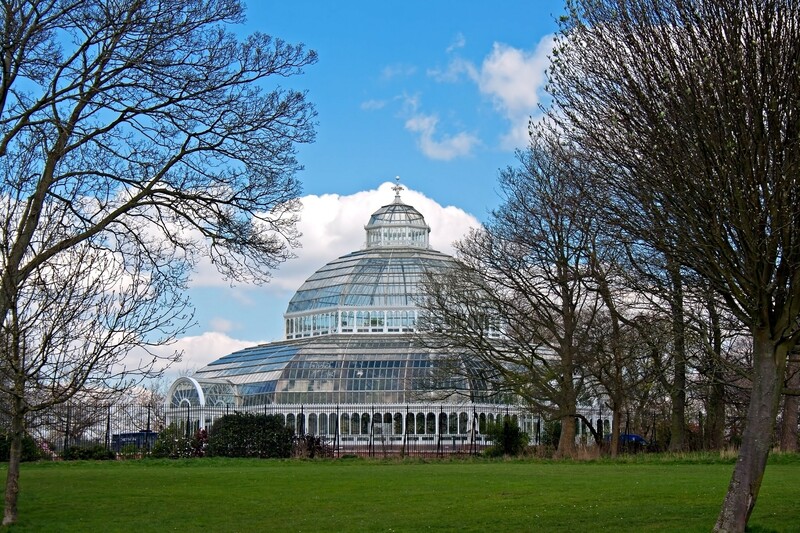 Sefton Park is particularly beautiful and has won some recognition for its natural surroundings. In this park there is a building called The Palm House, in which events are held throughout the year, from concerts to large-scale yoga classes. It is even a place that many couples choose to get married. Another amazing park is Calderstones Park, where many cross-country running events are held. If you want to enjoy a moment of relaxation without leaving the city centre, the best option is to visit Chavasse Park, right next to Liverpool One.